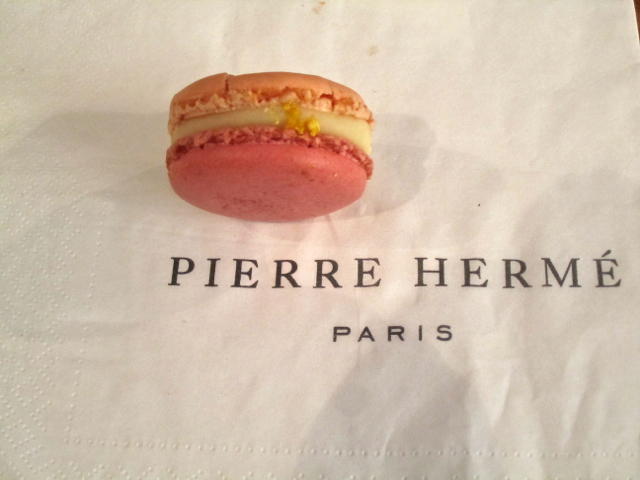 In July, I wrote about my hunt for the best chocolate macaron in Paris. Based on my own taste test, I agreed with the test conducted by le Figaro's "Figarosope," which concluded that the one at Jean-Paul Hévin was the best. 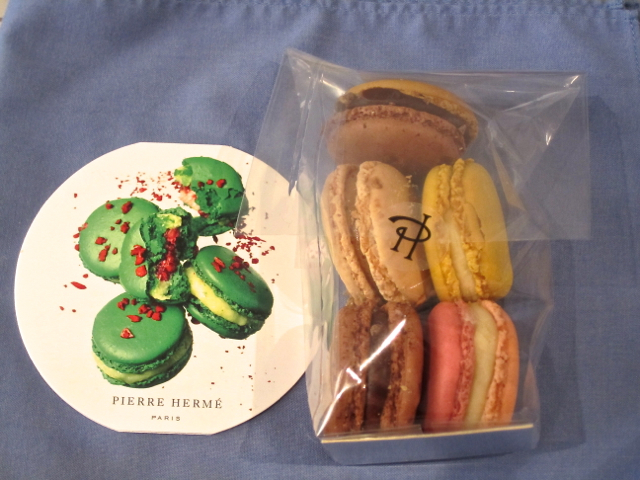 However, I was unable to sample Pierre Hermé's version when I wrote that, and today I completed that part of my research. Conclusion: Hévin's status confirmed. The Hermé macaron was perfectly constructed but lacked the rich chocolate flavor of the Hévin. While I was there, I naturally got a few others flavors, and I have to say that the month's special, called "Les Jardins," which is flavored with orange blossom, rose and ginger, is one of the best things I have ever eaten. That was thirty minutes ago, and the delicate melange of scents is still in my head.